Daily Reaction: How Does Google Stadia Impact Sony and PlayStation? After much speculation about what Google would be doing to change the face of gaming, we know have a much clearer picture of what that upheaval looks like: Google Stadia. Touted as a platform free of traditional boxes, Google Stadia allows you to play games instantly on nearly any screen, with all of the processing power being done by Google datacenters. Given that the power of even a single Google Stadia instance is more than the PS4 and Xbox One combined, there’s monumental potential for truly moving the industry forward with this next-gen tech. And it’s all streaming. But how does today’s announcement from Google change the landscape of video games? Where will we be in a year? Five years? A decade? Will I still be buying the next “PlayStation,” or does the console start to take on a different form? I feel like Daily Reaction has been predicting this inevitable future since I restarted the column a couple weeks ago. In that short time I’ve talked about “consoles as a service,” where instead of a box, you pay for access to the ecosystem. I’ve talked about big brands being the ones to decide when physical media is “dead.” And then Google comes in a proves everything right in a big way, at least as far as their intentions go. Google wants to nail convenience, breaking down any of the current barriers to gaming (while adding a few of their own. We’ll get to those in a moment). The pitch is simple. Stadia is a network platform where you can effectively play any game on the service through any screen or device that supports Chrome because the processing is done entirely in the cloud. It’s not unlike what Microsoft once attempted to achieve with its early Xbox One tech that caused a huge backlash, and then again with promises in Crackdown 3 that never delivered. 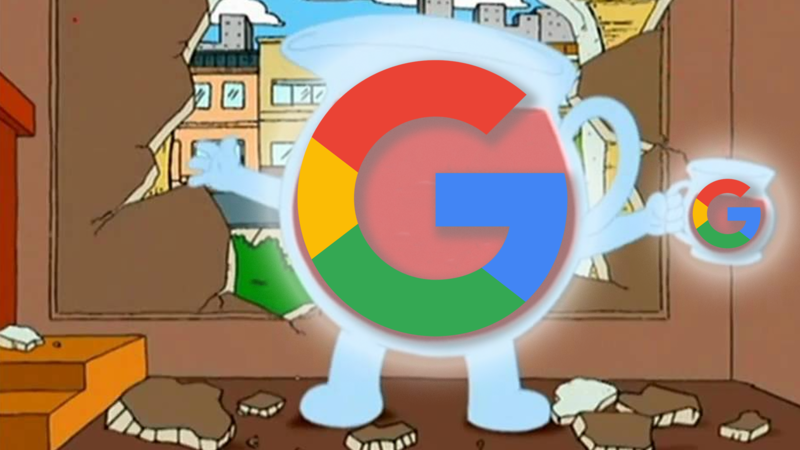 Is Google’s pitch a reality, or a distant pipe dream of a future yet unrealized? As one of the largest tech megacorporations in the world, Google has a lot of power to tap into, both from a financial perspective, as well as the power to force a change of this magnitude onto gaming. But is it really all that broad of a change? If you look at the state of gaming, Google Stadia is simply a sign post showing where we are now. Sony’s been exploring these kinds of options with remote play and PlayStation Now. Microsoft is expanding its cloud capabilities and taking focus off of the particulars of a specific box. Even Nintendo’s got some skin in the game with the desire to redefine how and where you play. Stadia simply takes all of those ideas and centralizes the focus of its entire service around them. The ability to get high-quality AAA experiences on anything from a phone to a Chromebook to a low-end, off-the-shelf computer is tantalizing. No longer are high frame rates and gorgeous graphics limited to those with the money or know how to purchase or build high-end machines. There’s no waiting for a download. You can instantly move from device to device. Links can be placed anywhere to immediately jump into the game. That’s the ultimate combination of remote play, cloud computing, and the ability to play games almost anywhere and on anything, no longer tethered by the power of the hardware it’s being played on. My Pixel 2 XL has the capabilities of running a game through Stadia just as efficiently as a high-end PC or my PS4, if not more so. Google Stadia’s promise is a broad one, and it doesn’t just provide for the players, but creates a threefold experience for players, content creators, and developers alike. Allowing everyone to tap into the “power of Google” is an enticing premise. Developers have more power at their hands than ever before. Content creators can connect with their viewers in unprecedented ways. Players get a more convenient gaming experience. It all sounds great, but closer examination of the early reveal misses the mark in a few key places. Google came out swinging, and it was easy to be hyped by the buzzwords and flashy tech that Google was showing off, but one thing that struck me is that it misses a piece of the larger core experience of gaming. While they showed a lot of “click here to go into your game from YouTube” type of stuff, I never got a sense that there was a centralized library of games and experiences. There was nothing shown equivalent to the PS4 dashboard, and while I’m certain there will be, the lack of focus on the user’s library is concerning. Stadia seems like an enormous video game network, reliant on the internet, but what if gaming to me is not about finding a streamer on YouTube and loading into a game from right where they are (because who wants to play a game from the start anymore, I guess)? What if I know what I want to play, and I just want to get home after a long day (or in my case, move from the office to the living room), plop down, and boot up Destiny 2, or The Division 2, or whatever other experience I’m playing? Again, I’m sure that Stadia will have this capability, it was just interesting to note the lack of focus on a type of gaming experience that is not inherently keyed off by some internet search. Steam Boxes and other PCs designed to be a living room experience never really took off, and I imagine that it will be harder than Google thinks to get the layman to appreciate a network platform as a replacement for that box sitting next to their TV. Google has a stigma surrounding it associated with mobile and data collection, and even I, whose whole house runs on Google, have a hard time imagining myself booting up a Chromecast to play the latest AAA games. Stadia is pitched as this active experience of constant engagement via the internet, but that’s just not how some people are playing games. Will it work as a standard living room experience? Oh sure, but they are going to have a hard time selling it to most people who are comfortable with the status quo. It’s why we saw Microsoft back off the Xbox One innovations they originally wanted to launch with. A PlayStation box of some sort will still have a home in your living room. 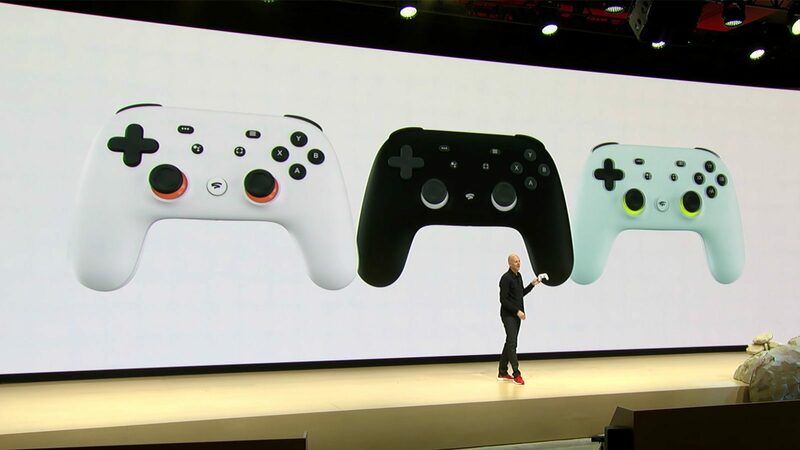 At a big and flashy keynote, you don’t want to focus on the potential downsides of the platform, but their absence from the presentation really highlighted what issues Stadia might have. What games will be supported on the platform? We know of a few partners, but if this is really designed to be a wholistic gaming experience, I would have to expect every title that’s not a first-party exclusive to launch on Stadia. If it’s missing anything (and doesn’t have a compelling lineup of its own first-party exclusives), it will stumble out of the gate. 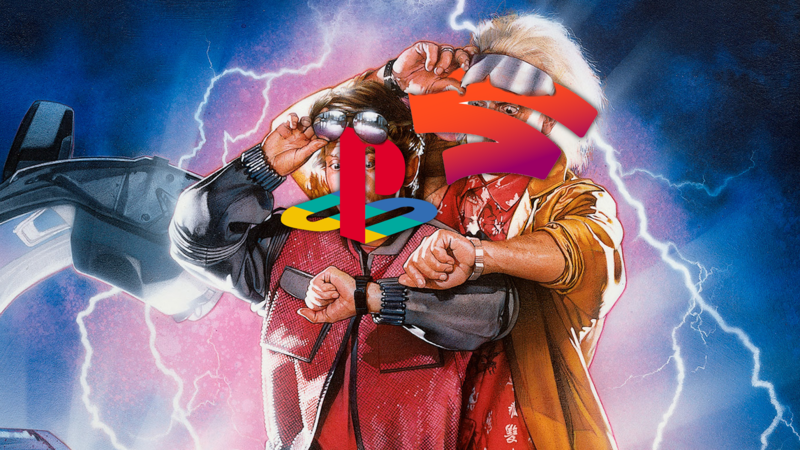 If Stadia is supposed to compete with the likes of Sony and Microsoft for platform attention, it needs to have effectively everything that both of those console manufacturers have. I’m not going to migrate over to Stadia if I still have to get another consoles to supplement the experience anyway. How much is this thing going to cost. Being a network thing, I imagine that it’s some kind of subscription model and not a one-time access fee, but then how does that work for the games? Do I get access to the full library of games on the service? Is each game an additional fee? Are they added to any kind of library on my account? It’s a nice demo to show someone clicking on a YouTube video and instantly loading up Assassin’s Creed Odyssey, but I feel like they missed the part where that box pops up asking for my credit card number. If it’s subscription-based, that mitigates that, but presents mountains of other questions about ownership of those games. Could this effectively be the “Netflix for games” that spells an even more rapid death for physical media and traditional games ownership? And then there are questions of network requirements. Cloud processing immediately means latency, and for all of the benefits that it has, it still inherently has to stream your button presses to the datacenter and then stream the video output back to you. No matter how fast the Google cloud is doing its work, that’s still inherently relying on local network connections to be able to handle that data transfer. That’s not even mentioning poor network infrastructure, data caps, and Net Neutrality issues, all of which could make the service prohibitively expensive with hidden costs, or simply non-functional at all. And what if my internet goes out, or I want to game where I don’t have internet access? Right now I have offline options, but with Google Stadia, I don’t. With Stadia, I would have not only been out of internet for weeks after my move to a new house, I would have been without gaming too. Is Google Stadia the Future? I think that Google Stadia is a signpost for the future, but it’s not the entire picture. This isn’t new territory at all. Sony’s been quietly building this kind of platform for years, starting with their acquisition of Gaikai seven years ago and of course, the current PlayStation Now service that was a result of that purchase. We’ll see the PlayStation 5 lean heavily into cloud gaming, but Sony is smart. We’ll also see them provide options. While Google puts up a huge flashy billboard for the tech, there are simply things that a home console does that Stadia can’t replicate. At the bare minimum, Stadia will catch on with the tech nerds in the same way that new and flashy tech always does. Google Glass had a loyal following of people convinced it was the wave of the future. While the tech is cool, the longer I think about it, the less I think it will kill off consoles, or even have that big of an impact on the console market share. If anything, we’ll see Stadia as competition to PC gaming, rather than the console experience. Having a strong ecosystem is one thing that console manufacturers have done well. You’ve got PlayStation and Xbox loyal, who have their accounts and their trophies and their friends lists, and many won’t want to leave all of that behind for an internet-based platform. If there’s anything there though, it’s that Google will push gaming forward. Whether Stadia becomes an industry staple or not, there’s no denying that every success and failure along the way has helped push gaming to new heights. People wrote VR off as a niche and encumbered experience that would never hit mainstream, yet we’ve seen immense success for the platform. Gaming experiences and the way we engage with games is chugging forward whether you like it or not. Google Stadia is definitely a stepping stone along the path to embracing new technologies and new experiences in gaming. As a bigger industry than movies and music, gaming has grown far beyond the typical “gamer.” With the pace of new technology, it’s really difficult to tell exactly where things will be in even five years. Ideally, what I’d love to see is Google working with console manufacturers, rather than as a competitor. I would love to be able to have my PlayStation console with the power of Google Stadia’s tech built into it. Let me access that cloud computing power, but also allow me to have the games stored locally. Let me stay with the PlayStation ecosystem, keeping my trophies and existing profile and purchases. It’s the best of both worlds. Who knows, with Google’s commitment to offering its tech to third-parties, maybe we’ll see Sony potentially exploring what they could do with it. There’s a lot to take in with Google Stadia. Even if you aren’t quite buying into Google’s vision of a gaming future, it will inevitably have ripples into the gaming experiences you’ve come to know and love (or hate, as the sentiment I get from most of these comments tends to be). Just as music, movies, and books before it, we’re moving further and further away from the days of having a static platform and individual experiences. Consoles as a service is real, and we’ll see the first big iteration of that later this year. After that, we’ll continue to see how the current powers in the gaming industry respond with their own visions of what the next-generation of gaming looks like, and I’d be quite surprised if it doesn’t involve similar functionality. Is Google Stadia the future of gaming? Probably not all by itself. There are too many hurdles and potential potholes right now, but I think it’s got a strong role to play as a signpost for the direction that games are headed.